Harry Rosehill How Long Does The Oyster Card Have Left? The Oyster card launched in June 2003, making it nearly 15 years old . Back then it was the only alternative to paper tickets. In the intervening years a new option arose, contactless payments, which some believe is the future of London transport's ticketing. It's the same simple motion as Oyster — a tap with a card or phone. Notably it's cheaper for TfL, they don't have to bear the brunt of the production costs, instead the bank and smartphone designers do. This might seem a minor issue considering that Londoners tend to hold onto one Oyster card for years at a time. However, this isn't true of everyone: TfL issues 700,000 new cards monthly. The surprising stat is especially pertinent because of TfL's current financial situation. Since the removal of their central Government grant (at one stage £700 million a year) and the downturn in passenger numbers, TfL need to cut costs. As a popular supermarket-chain regularly remarks: Every little helps. Could a disappearing Oyster card become part of that little? Why not use your contactless bank card today? Never top up again, and it's the same fare as Oyster. Hearing the same announcement every day gets annoying, but even moreso when its message is inaccurate. 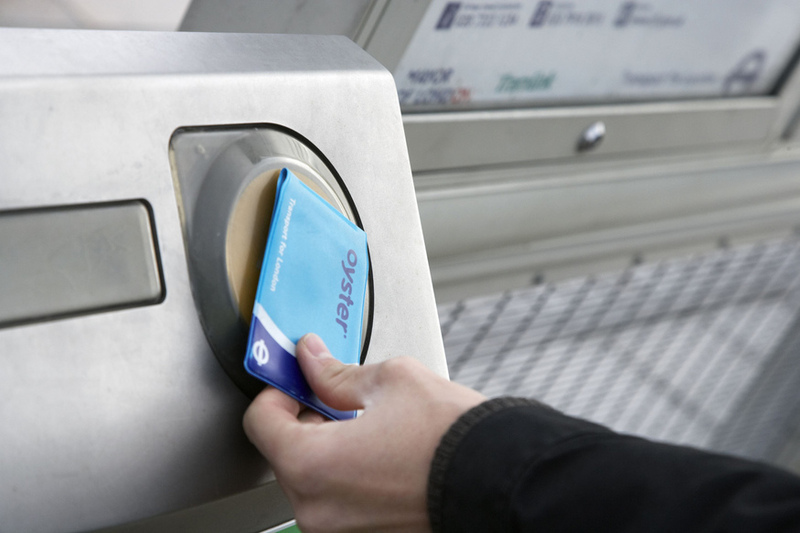 There are still numerous cases where using contactless instead of Oyster leads to a different fare. 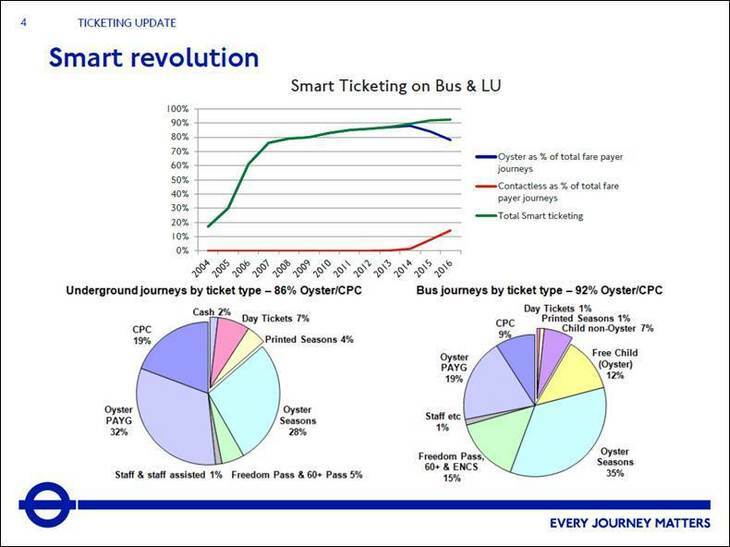 Naturally this shift towards contactless suggests that the Oyster's days are numbered. Some already view it as public knowledge that Oyster is on its way out. Except that when we reached out for comment, a TfL spokesperson said that there are no plans to phase the Oyster card out. It was a pretty adamant rebuttal, and TfL claims that any article speculating as such would be unhelpful and misleading to our readers (clearly we think it's worth speculating). In recent months, stations have stopped playing the aforementioned announcement with such repetitive frequency. So perhaps Oyster is here to stay (for now). It's possible that TfL had planned to ditch Oyster sooner rather than later, but changed their mind. One thing that might've affected this is the new unlimited bus hopper fare. This article from 2016, shows that when the original bus hopper fare launched, there was already talk of an unlimited version. But the Oyster card's prehistoric (by 21st century standards) technology stood in the way; it's a much simpler task on contactless. TfL's tech team must have overcome this obstacle when they introduced the new fare, proof that there was still life in the Oyster card yet. 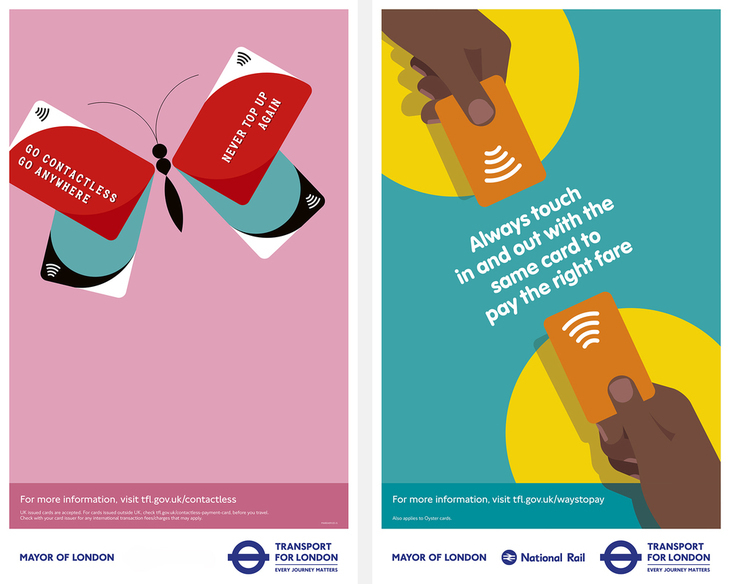 Contactless use is on the rise in London — 43% of pay as you go journeys are made with the system. However, the funky pie charts above outline this still only makes up a small proportion of total journeys. Another issue that TfL is aware of, is that not everyone has or wants a contactless card — most notably children. In 2016 TfL licensed the tech behind both Oyster and contactless with Cubic Transportation System (the team who developed contactless), which plans on bringing it to New York's metro. Across the pond, the technology will replace the outdated Metrocard in a few years — soon contactless bank cards and smartphone pay apps will be the only way to use the system. We can't help but wonder if TfL is at all jealous that it's not in the same boat. When the Oyster cards were introduced in 2003, many might've heard the bells tolling for paper tickets. However, a decade and a half later they're still here. That's a hopeful sign for Oyster cards. 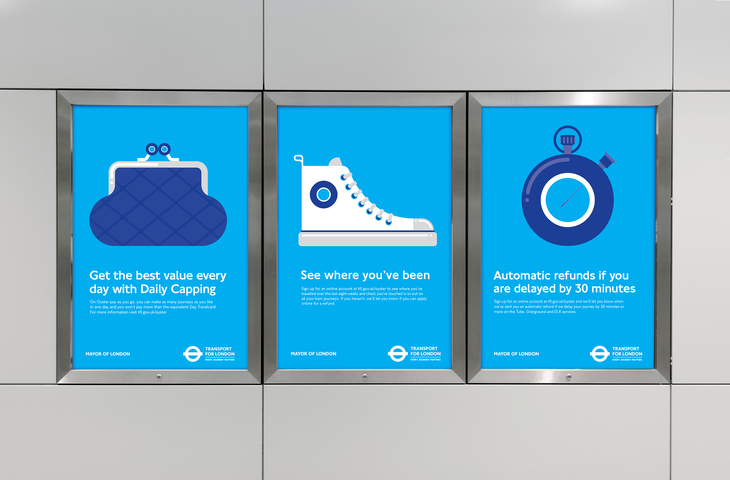 Only time will tell if three formats can peacefully co-exist across London's transport network.